Tomorrow is the big day. The presidential election of 2012 has come in like a lion with vicious attacks from both camps. If you’re anything like me, you’re sick of the negative campaign ads, the constant phone calls and the rhetoric. But tomorrow night it will all be over. Hopefully. I’m crossing my fingers this one doesn’t end up at the Supreme Court, but this is going to be a close one folks. The latest American Pulse™ report is tracking Romney (46.1%) and Obama (45.9%) to be running neck and neck among likely voters. (Although if you are into old wives tales, the Washington Redskins loss this past weekend pretty much seals the deal for Romney.) However, the findings from the report could provide some foreshadowing into who will be sworn in come January. According to the report, it’s all about the economy. Sure people are worried about Iran, Afghanistan, and other issues abroad. But at the end of the day it comes down to what’s going on at home—and who’s best equipped to get the economy headed in the right direction. 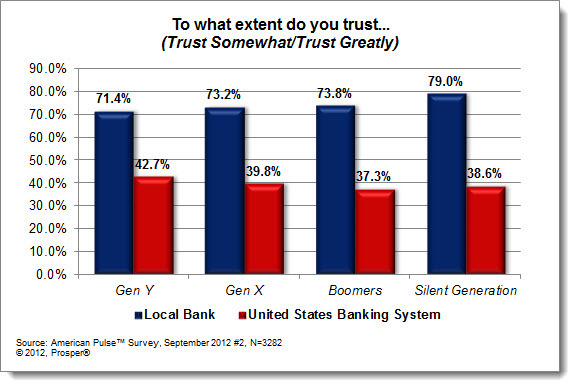 Here’s a few things we found to be particularly interesting. 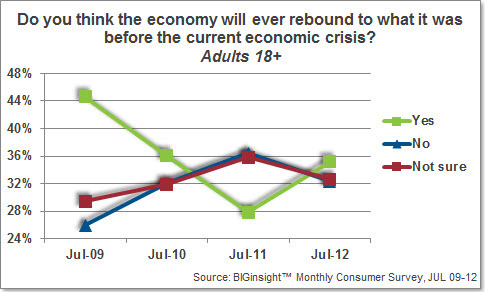 71.4% rate the economy as poor/terrible; 52% say it’s heading in the wrong direction. 53.9% know someone receiving unemployment benefits; 55.1% know someone receiving food stamps. Additionally 4 in 5 Americans believe their vote matters. Three-fourths say nothing will stop them from voting this year and roughly 70% say they are excited to vote. Should make for an exciting day. 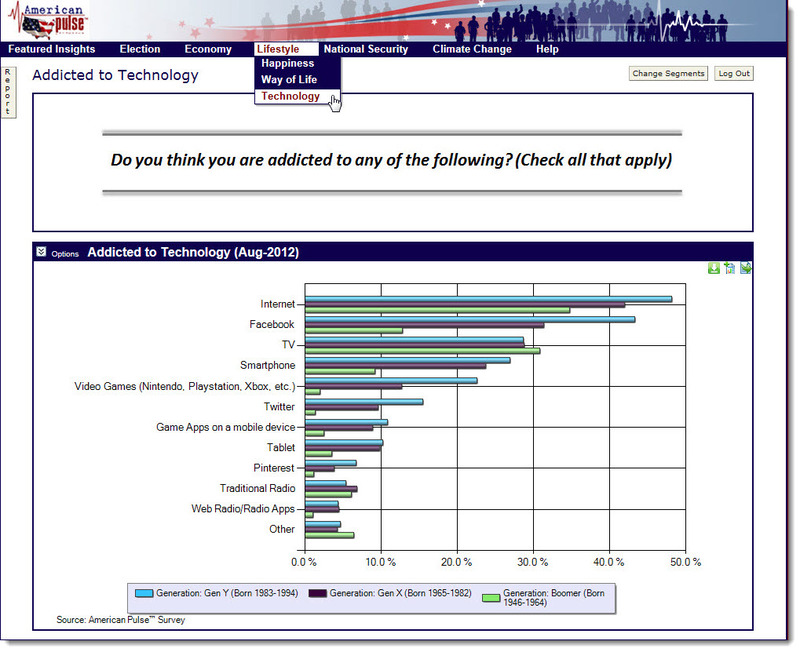 As Consumer Insights Director, I have been working with the vast amount of insights we gather for an entire decade. And, it’s been interesting to see how consumers have evolved over this time span: from their embrace of online shopping (seen in full effect for Back-to-School this year) to the “spend now, worry later” mantra voiced by many before the burst of the housing bubble burst and subsequent meltdown on Wall Street. Even post-recession, consumers are adapting to the times, couponing at every corner, working within budgets, fattening up their piggy banks, and becoming attached at the hip to their favorite social media sites. And who really thought that – even as little as just a few years ago – that the term “mobile exclusivity” would enter our vocabulary? Most certainly, a lot has changed in ten years. While the advent of m-commerce might be a close second, I would argue that the clear turning post for consumer behavior during the last decade came with the “Great Recession.” Shoppers went from “spend now, worry later” to an “abort spending, worry, worry, worry” mindset. Holiday 2008 was an absolute disaster for most retailers, and, to this day, they are still trying to coax shoppers back in their stores. According to some of our latest insights, consumer confidence continues to trend below an ideal range, employment – or rather, unemployment – remains a chief concern, while decreasing overall spending is a financial priority to an increasing number of consumers. Think about that last statement for a bit. The lagging consumer confidence, weak outlook for employment, and spending cutbacks we’re seeing currently applied to the 2009 consumer…and the 2010 consumer…even those in 2011. This persistent drought of positive economic news over the past several years has changed consumers’ approach to spending. 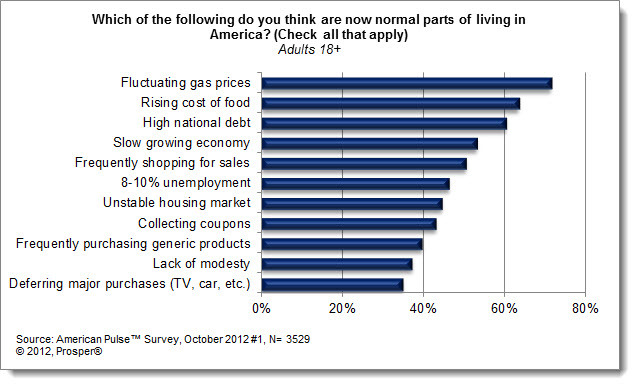 Are frugal consumers the “new normal”? If the economy continues at this lackluster pace, you betcha. 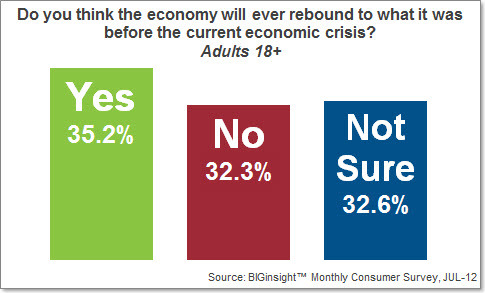 This month, we asked 8,500 U.S. consumers if they thought the economy would ever rebound to what it was before the economic crisis, and the results were fairly well divided: just over a third were hopeful for a rebound, while nearly as many either aren’t on the rebound bandwagon or are simply unsure. Why is it important to get shoppers’ perspective on the matter? 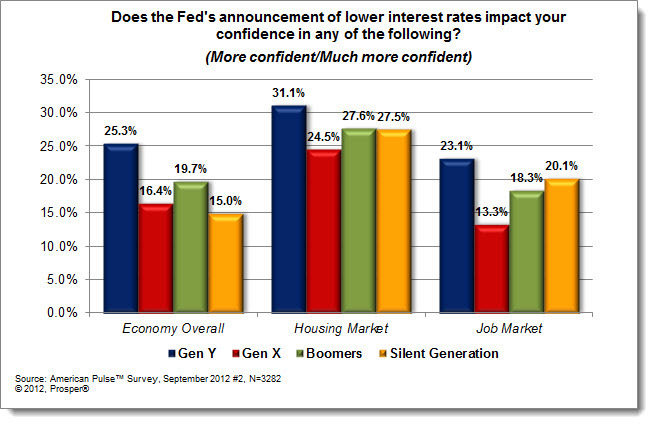 Doubt in the economy brews uncertainty and hesitation toward consumer spending. 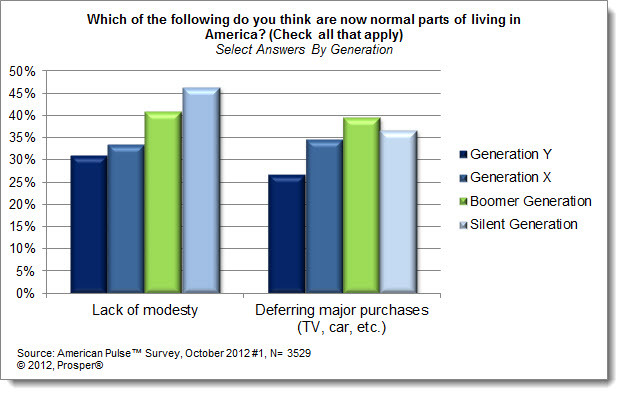 With two-thirds of Americans feeling pessimistic or indecisive about an economic rebound, we’re likely to continue to see heavy coupon usage, a strong focus on budgets, further attempts at debt reduction, targeted spending, price comparisons – smart shopping strategies executed by well-informed consumers (who have been made all the more knowledgeable by the recent rise of mobile devices). Translation: if consumers are going to spend their hard earned money, they are going to make every dollar count. So what’s a retailer to do? It’s all about the CONSUMER. Knowing who your shoppers are, what they are planning or willing to buy, and adjusting your merchandising mix, marketing strategy, and inventory levels accordingly will likely help you weather this economic maelstrom. And you might find that you have to chart a new course to ensure your long-term sustainability.